Ranked the 16th largest and one of the fastest growing cities in the U.S., Fort Worth is located in North Central Texas. The city was originally established in 1849 as an Army outpost. As one of the top tourist destinations in Texas, Fort Worth, which is part of the Dallas-Fort Worth Metroplex (DFW), draws visitors from all over to see its many attractions, including its famed Stockyards National Historic District. Fort Worth is also home to a Top 5 zoo, NASCAR racing at the Texas Motor Speedway, rodeos, a world-renowned cultural district and is just minutes away from the home of Texas’s beloved Dallas Cowboys and AT&T Stadium. Tourism is a major economic asset to Fort Worth but transportation, communications and utilities is also a growing source of economic development. According to datausa.com the most common sectors of employment in DFW are Educational Services & Healthcare, Professional, Scientific, Management, Admin., Waste Mgmt., and Retail Trade. According to city-data.com, American Airlines, Lockheed Martin Tactical Aircraft Systems, Bell Helicopter Textron, Radio Shack Corporation, Sabre, Pier 1 Imports, and Burlington Northern Santa Fe are some of the largest employers in Fort Worth. Employment in Fort Worth consistently remains below the national average. While Fort Worth and the general DFW area house many college and universities, about 22-percent of Fort Worth residents hold a Bachelor’s Degree, according to point2homes.com. DFW is home to a rather large number of colleges and universities but Fort Worth itself houses The Southwestern Baptist Theological Seminary, Texas Christian University, and Texas Wesleyan University. As one of the most rapidly growing cities in the country, the city of Fort Worth is working to find ways to increase its sustainability infrastructure while also maintaining the quality of life for its current and future residents. According to Fort Worth’s government website, the city has enacted four programs to help increase sustainability. · Walk Fort Worth- Which aims to make walking around the city both safer and more convenient. · Save Fort Worth Water- which offers solutions for residents, business owners and irrigation. · Business Smart – Which encourages business to seek green-initiatives. With a community that has grown over 50-percent in just the last twenty years, the City of Fort Worth is in the process of taking on one of its largest green-initiatives yet. The city is aiming to divert 40-percent of waste from landfills, which will be a large increase from the 24-percent that was diverted in 2013, according to the plan outlook. Just as the City of Fort Worth is striving to be a more sustainable city, Junk King Fort Worth strives to promote a green-minded Fort Worth through commercial or residential cleanouts. Like they say, everything is bigger in Texas…where homes and businesses run big, so does waste disposal. Fort Worth has shown a great interest and desire to become more sustainable and with your rental of a Junk King roll away dumpster, all of your unwanted items are taken to a recycling warehouse. Once the unwanted items are in the warehouse, Junk King employees sort through each and every dumpster rental collection for metals, e-waste, paper, household goods, textiles, furniture and appliances before simply tossing more trash into the landfills. “Going green” doesn’t just mean recycling. When looking for a greener way of life, Junk King exhausts all resources. If unwanted items are not recyclable, Junk King is dedicated to finding ways to donate, repurpose, and reuse everything from clothing, toys, baby cribs and strollers to office furniture and supplies. Many of the Junk King trucks run on biodiesel, a domestically produced fuel made from more environmentally safe non-petroleum, renewable resources. Junk King is committed to continuing to lead the way to help keep the planet clean, green and beautiful for the generations to come. The city of Fort Worth has made great strides to becoming a greener city even through its massive growth, and it doesn’t seem to be slowing down. If you are remodeling, moving or just doing a big clean-out, Junk King Forth Worth can assist you with its convenient, affordable roll away MINI Dumpsters. Junk King provides quick and easy access to free quotes by phone or an online estimator and fast, affordable service. Simply contact Junk King with your chosen date and time to schedule your MINI Dumpster rental and once your job is complete, your junk will be rolled away. With three full days to fill the MINI Dumpster, Junk King provides the opportunity for you to toss your junk on your own timetable. The MINI Dumpster an easy, fast, purposeful way to remove your junk and debris. Junk King seeks to be a leader in sustainability, recycling and finding ways to live a greener life. As a company, Junk King Fort Worth is committed the city of Fort Worth and its efforts in sustainability and the MINI Dumpsters are the perfect start! 1) What size dumpster do you offer? a. The most convenient solution for junk removal is the Junk King MINI. A 12-cubic yard, driveway friendly debris box is delivered right to your place of business or your home. Most household remodels and clean outs can be complete with a Junk King MINI. 2) What items can I put in the MINI Dumpster? a. Anything! If you are ridding your home or business of furniture, appliances, textiles, construction debris, yard debris or other items considered junk, Junk King will take it as long as it isn’t hazardous. a. The Junk King MINI Dumpster is yours for three days! We will drop it off to be filled on your own terms and time and will return for pick up in three days. If you are taking part in Fort Worth’s great efforts for a more sustainable and greener way of life but are also facing a home or business cleanout or remodel, Junk King Fort Worth is here to help! The reviews we receive not only help us to improve our daily work but they also remind us of the work we do and the positive impacts it has on the community and the environment. We strive to help improve the lives our customers and our reviews help us improve daily. July 06, 2017 by J.L. 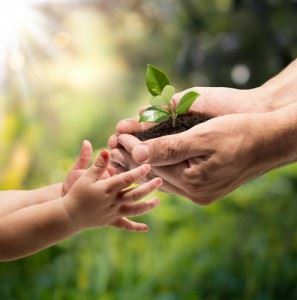 Is creating a more sustainable and greener way of life important to you? Junk King Fort Worth is ready to help and is committed to increasing sustainability. The top-rated customer service offered by Junk King is something we pride ourselves on. Please consider using Junk King for your dumpster rental and junk removal. Call today (682) 237-6200 or visit Junk King online to get a quick and easy quote for dumpster rentals or for more information on what size dumpster would best suit your needs. This entry was posted in Uncategorized and tagged Debris Removal, Dumpster rental, Foreclosure Cleanout on August 24, 2017 by Julian Torres, "JT". Last updated June 24, 2018 .